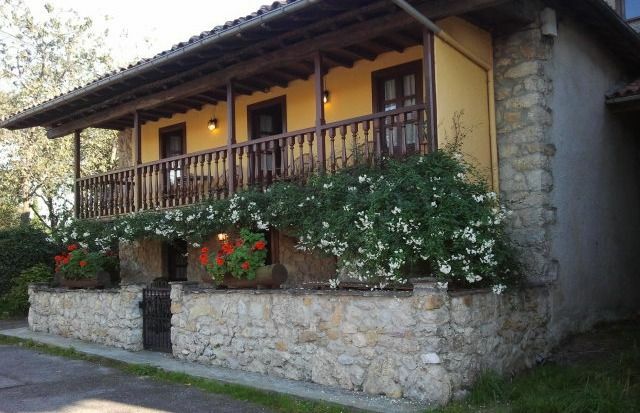 Foína and Xuegu la Bola are two typical Asturian houses of an early 18th century corridor, recently restored, with stone walls seen inside and outside. The houses are very close to each other, so it can serve for more than 4 people traveling together. XUEGU: Large porch below the corridor, living room, kitchen and dining room on the ground floor. Two rooms, one with a bed of 1.35 and another with 2 beds, bathroom and possibility of extra bed. FOIA: Ground floor with living area with fireplace, dining room and kitchen in one piece; Two rooms, one with a bed of 1.35 and another with 2 beds and 2 bathrooms with shower.